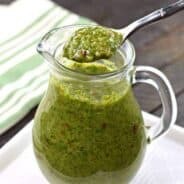 I know you must all have this recipe by now? 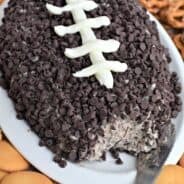 I found it over on allrecipes years ago, and made it into a cheesecake ball by refrigerating and then rolling in chocolate chips. 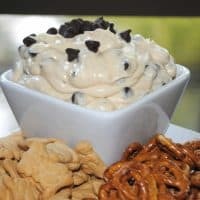 However, that takes too much work and this is way better all creamy and dip-able (that is a word, I’m sure of it). My daughter had some friends over this weekend, and this dip is one thing she requested me to make. I obliged her, and ate half the bowl before sharing. I am the cook after all. Now, I must go and contemplate what I am baking this weekend. I do have some pumpkin now, the drought is over! Enjoy. Melt butter in small saucepan over medium heat. Add brown sugar and whisk until sugar dissolves. When mixture starts to bubble, set aside to cool. Whisk in vanilla. Cream together cream cheese and powdered sugar until creamy. On low, add in brown sugar and butter mixture (cooled). Mix until combined, add chocolate chips. Serve with pretzels, animal crackers, graham sticks, etc. Delicious! Yum! I am supposed to take something sweet to a party this weekend and this may be it! Thanks for sharing. Oh my goodness… this looks and sounds amazing! Oh wow…this literally made say “WOW” out loud just by reading its name! I haven’t heard of this before. It looks great! Oh I love this stuff! and i havent made it for so long…thanks for the reminder! 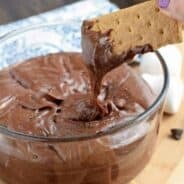 I have been seeing this recipe around on the internet for about a year now. And I have always wanted to try it. The only reason I don’t is because I am afraid I will eat the whole thing myself. But the holidays are coming up and the get togethers will start so I think it will be a good time to try it. My mouth is already watering…your photo is sooo inviting! 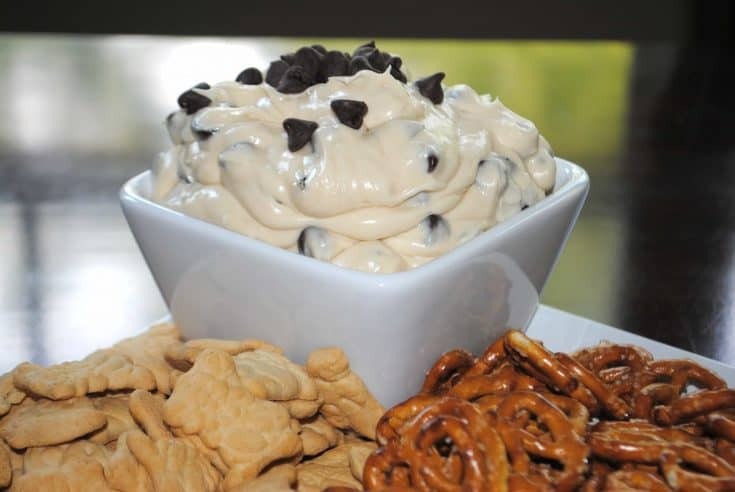 Thanks for sharing this simple recipe with this wild-about-cream-cheese fan! So yummy! You had the most clicks from our linky party & win free advertising on our blog! Come and join us tomorrow….grab a button & link up your latest & greatest! I’ve made that same cheeseball you’re talking about! I LOVED it but it was a little much work, so I’ll definitely be trying your version. I loved eating gingersnaps and graham crackers with mine. Oooh gingersnaps! YUM. I bet that is good as a dipper! I’d have no control over this dip! I’d eat it all!! It’s addicting, for sure! Just make it when you have company over, that way everyone indulges and there are guaranteed to be NO leftovers!